100% refund incase of cancellation. 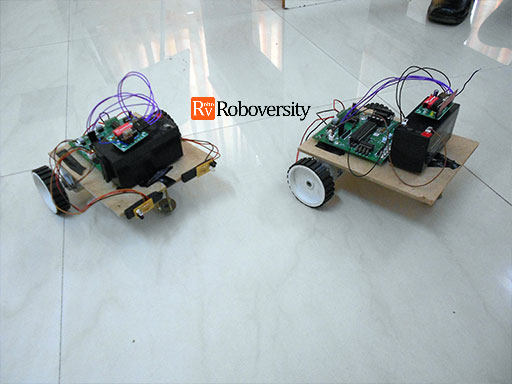 The purpose of this course is to help you build your own robotics projects. 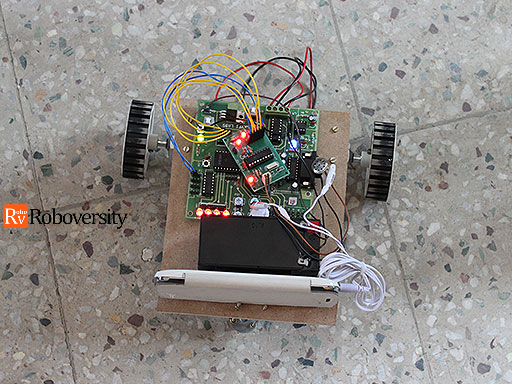 You will be provided with the kits and our Engineers will give you the knowledge to develop the 7 projects from scratch. 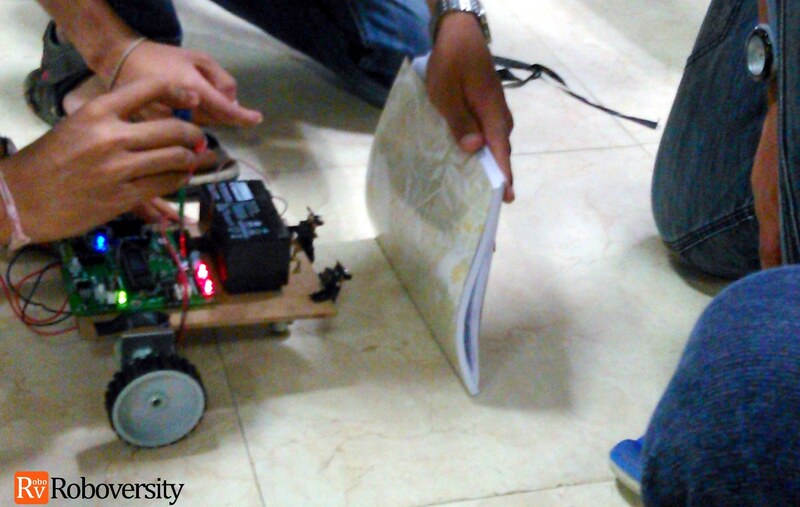 The majority of your time in the course will be spent on hands-on activities. All the above components would be provided during the program to participants in groups of 5 but would be taken back at the end. This is being done to reduce the cost of the program and make it affordable for students who do not want to buy the take-home kit. Participants registering in team of 5 will get the take home kit for free. Take-home kit consists of all the above items excluding the items marked with *. Write online exams and receive separate certificates with scores. Showcase your skills in job interviews with these certificates. 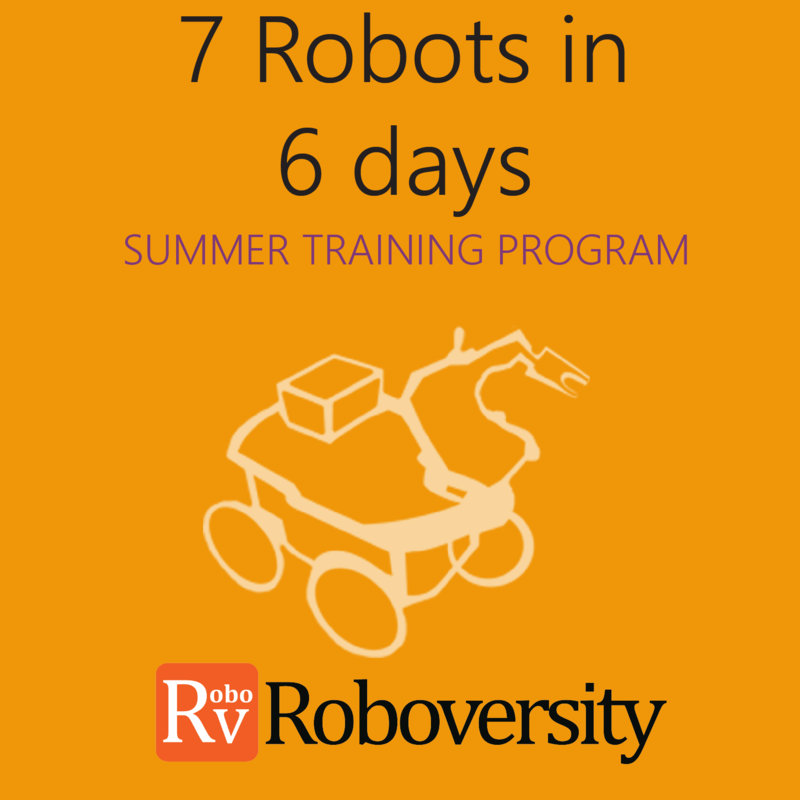 Students of any background interested in Robotics, Arduino & Arduino Programming can attend this training program. Participants will be grouped into teams of 5 in the program. Participants can purchase take-home kits by paying an additional amount of Rs.5,000 at the venue. Participants registering in groups of 5 will get take-home kit for free. Pay Now: Register by paying ₹ 2690 now. Kolkata (formerly Calcutta) is the capital of West Bengal and one of the largest urban agglomerations in India. It is the largest city in Eastern India, as well as in the historical region of Bengal (today's West Bengal and Bangladesh). Kolkata is an 'in your face' city that shocks and charms the unsuspecting visitor. Long known as the cultural capital of India and home to the Bengal Renaissance, 'The City of Joy' continues to spawn generations of poets, writers, film directors and Nobel Prize winners. If your trip only allows for a visit of one or two of India's metropolitan cities, then definitely consider placing Kolkata on your itinerary. Love it or hate it, you definitely won't forget the 'City of Joy'. Kolkata's history is intimately related to the British East India Company, which first arrived in 1690, and to British India, of which Calcutta became the capital in 1772. Job Charnock was widely known as the founder of Calcutta (There were 3 villages named Sutanuti, Govindapur & Kalikata. Later the village Kalikata became the city Kolkata.) but in recent years a number of Indian historians have disputed this claim, arguing that Kolkata developed naturally over a period, centered around the ancient Kali temple at Kalighat and the port at Khidderpore. This claim has been accepted by the Kolkata High Court. The Court has dismissed the name of Job Charnock as the founder of the city and 24 August as its date of birth. The historic judgement was based upon a high level Expert Committee findings. Whatever its origins, Kolkata flowered as the capital of British India during the nineteenth century, the heyday of the Raj. Calcutta University, the first modern Indian university was founded here in 1857. Kolkata became the center of Indian arts and literature, and the national movement for independence got its start here. However, with the transfer of the capital to Delhi in 1911, the pains of the partition of Bengal in 1947,a violent and bloody Maoist movement (the Naxalbari movement) in the 1970s and many political betrayals which no other city experienced, Kolkata had become synonymous with urban decay and poverty, but reversal changes can be seen. Kolkata is the main business, commercial and financial hub of eastern India. Kolkata witnessed an economic decline from the late sixties till the late nineties. The city's economic fortunes turned the tide as the economic liberalization in India during the early nineties reached Kolkata during late nineties. Kolkata is a multicultural, cosmopolitan city. Apart from the diversity of India, there are also Europeans (including Germans, Armenians, and others) and other Asians (including Chinese, Sinhalese, and Tibetans). In 1977, a "Left Front" coalition of the Communist and Marxist parties came to power and ruled the state for 34 years. This is reflected in street names and memorials in the city. For example there are streets like Lenin Sarani, Ho Chi Minh Sarani, etc. In the 2011 state assembly elections Trinamool Congress swept to power in West Bengal, with a clean sweep of almost all the seats in Kolkata and the surrounding areas. Kolkata is fast developing into a modern info tech city with various private sector companies setting up shop here. The landscape of the city is also fast changing with flyovers, gardens and several new commercial establishments. Kolkata city itself has expanded into its suburbs, with the Greater Kolkata stretching from Kalyani (in Nadia District) in North to Diamond Harbor in South (in the South 24 Parganas District). The city's fortunes have looked up since the early nineties, coinciding with the liberalization of the Indian economy. Its economy has been amongst the fastest growing in the country. The New Metro city is characterized by popular spots such as multiplexes, theaters, clubs, pubs, coffee shops, and museums. Kolkata is home to many industrial units, of large Indian corporations, whose product range is varied and includes - engineering products, electronics, electrical equipment, cables, steel, leather, textiles, jewelery, frigates, automobiles, railway coaches and wagons. Several industrial estates like Taratala, Uluberia, Dankuni, Kasba,Howrah are spread throughout the urban agglomeration. A huge leather complex has come up at Bantola. An export processing zone has been set up in Falta. Specialized setups like the country's first Toy Park, and a Gem and Jewelery Park have also been established. Kolkata is also starting to become a major hub for the IT (Information Technology) industry. With the formation of New Town at Rajarhat and extension of Salt Lake's Sector-V, Kolkata is rapidly turning into a pro-IT town. More and more businesses are coming to Kolkata to set up their offices. Kolkata is in the eastern part of India at 22°82 N 88°20 E. It has spread linearly along the banks of the river Hooghly. The Kolkata Municipal Corporation has an area of 185 square kilometres. The city proper today can be roughly divided into two sections along Mother Teresa Sarani (which was known during English rule as Park Street). North of Park Street is the more congested part of the city. South of Park Street is the slightly better planned section of the city.South Kolkata is better planned with wider roads and better equipped police force for keeping law & order. The better planning in South Kolkata is because it was built much later. The North is the real, old Kolkata and most of the oldest families and buildings are situated there. Over the past several years the city has expanded to the south and the east. The old Central Business District (CBD) is where the seat of the West Bengal Government is located, along with many other government offices. Several banks have their corporate or regional headquarters around the B. B. D. Bagh area (named after the revolutionaries Binoy,Badol and Dinesh who forced entry into The Writer's Building, the epi-centre of English government in West Bengal,and killed the officers who were famous for their rude and cruel treatment with the people and their various techniques of oppression). Many of Kolkata's older business groups have their main offices here. The area is a mix of multi-storeyed office blocks and colonial buildings. The newer CBD is around the south of Park Street, Camac Street and AJC Bose Road. Several high-rise office blocks including some of Kolkata's tallest commercial buildings - like the Chatterjee International Centre, Tata Centre, Everest House, Industry House, CGO Building - are located here. An even-newer CBD is now being set up in the Rajarhat (Newtown) area, lying between Salt Lake and the Airport. Maidan (meaning open field) is situated between the river Ganges and J.L.Nehru Road (or Chowringhee). It is said to be the lungs of Kolkata. The lush green meadow also houses Victoria Memorial, Eden Gardens, and several sporting clubs. Kolkatans simply love to stroll in the Maidan. In an effort to relieve congestion in the main city, many government offices have shifted to high-rise office buildings lining Bidhan Nagar's (Salt Lake) Central Park. The residential buildings are mainly lowrise and comprise of older colonial buildings and numerous new four storied apartment blocks. Ten to twelve storied apartment blocks have come up in large numbers in south Kolkata. The city has relaxed its rules on high-rise construction recently and twenty storied buildings are becoming more common. The tallest residential towers of eastern India - the four thirty-five-storey towers of South City have come up on Prince Anwar Shah Road. Heavy construction activity along the Eastern Metropolitan Bypass is changing the face of the city. Luxury hotels, a convention centre, speciality hospitals, condominium complexes, malls and multiplexes are coming up at a rapid pace. The city's expansion in the eastern side is spearheaded by the construction of a large new city called New Town adjacent to the well planned Bidhan Nagar. Located in Rajarhat, it is one of the largest planned urban developments in India. The neglected western side of the urban agglomeration has got a boost recently with the signing of an agreement with Chiputra, an Indonesian company to build the Kolkata West International City (KWIC). Another huge new township is in the proposal state in Dankuni. Slums and dilapidated structures exist in many pockets of the city proper and house over 25% of the city's population (Census 2001). Slum redevelopment schemes have helped improve living conditions by a small extent but there is huge scope for improvement in this area. Efforts to shift slum dwellers to newer developments have often met with resistance and failure because many of the slums are in prime areas of the city and the slum dwellers who are integrated in the social structure of the neighbourhood do not want to shift. Kolkata has three main seasons- Summer, Monsoon, and Winter. Summer, during March–May, is hot and humid with temperature touching 38-42 degree Celsius. Monsoon starts in June and lasts till September or October. This is the time when heavy showers sometimes lead to waterlogging. Winter starts in November and stays till February and the weather is very pleasant with temperature ranging between 8-20 degree Celsius. Best time to visit Kolkata will be during winter that is November to February. Kolkata is GMT+5:30 time zone. Kolkata is well connected by rail to almost all the big stations in India and also serves as the gateway to North-Eastern India. For passengers it has an enormous covered waiting area between the main complex and the platforms. The main complex has waiting and retiring rooms for passengers awaiting connecting trains. In addition there is a Yatri Niwas (Railway's travellers' lodge)with dormitory/ single room/ double room accommodation. The vehicular carriageways along the length of platforms allow passengers to be dropped near rail compartments â€” a facility unique among most major stations of the country. * Sealdah Railway station, Bepin Behari Ganguly Street, Sealdah (- There are pre-paid taxis option to enter the city. The pre-paid taxi stand just outside the station's main entrance. The counter is under a tin shed.). - Handicapped/disabled access. There are 19 platforms. Babughat Bus Terminus 200m - Esplanade Metro Station 1.3km). Located on the Kolkata Riverview line of the Kolkata Suburban Railway, it provides direct link to Khidderpore, Naihati, Chitpur, Majerhat etc. It only provides local EMU services. * Esplanade Bus Station (Central Bus Terminus,), Rashmoni Avenue (Esplanade Metro Station 100m). To/from Bangladesh, there are numerous bus options between Kolkata and Bangladesh. The most common way is the regular comfortable a/c buses from Dhaka to Kolkata via the Haridaspur / Benapole border post. Private bus companies Shohagh, Green Line,Shyamoli and others operate daily bus services on this route. Govt. buses run under the label of the state govt. undertaken West Bengal Surface Transport Corporation Limited(WBSTCL) and the Bangladesh Road Transport Corporation (BRTC). WBSTCL and BRTC both operate buses from Kolkata every Tuesday, Thursday, and Saturday at 5:30AM and 8:30AM, and 12:30PM while from Dhaka they leave on Monday, Wednesday, and Friday at 7AM and 7:30AM. The normal journey time is around 12 hours with a one-way fare of Rs 550 or BDT600-800, roughly $8–12. If you're only headed to Haridaspur the fare is Rs 86 (2.5 hours). The Shyamoli Paribahan ticket office is at 6/1 Marquis St (parallel to and one block south of Sudder Street, and just west of Mirza Ghalib St, next door to DHL), 2252 0693. Beware that several travel agencies around this area also sell tickets for these buses, but at very inflated prices. At the border it's best to change money on the Indian side, but count it carefully and double-check the math on their calculator. On the Bangladesh side you can catch a flat-bed cycle-rickshaw for Tk5 for the 2 km trip to the bus stand for onward travel - or you can walk, but expect the hopeful rickshaw-wallahs to follow you at least half way. To/from Eastern India via Bangladesh. Bus travel to some points in Eastern India are faster via Bangladesh (please note that visas will be required for entry into Bangladesh as well as for re-entry into India). If you're heading to points in Eastern India (Tripura for example) beyond Bangladeshâ€”then there is a regular bus service between Dhaka and Agartala, capital of India's Tripura state. Two BRTC buses leave daily from Dhaka and connect with the Tripura Road Transport Corporation vehicles, running six days a week with a roundtrip fare of BDT600 (US$10). There is only one halt at Ashuganj in Bangladesh during the journey. Call +880 2 8360241 for schedule. Other entry points to North-Eastern India through Bangladesh are Hili, Chilahati / Haldibari and Banglaband border posts through Northern Bangladesh and Tamabil/Dawki border post for a route between Shillong (Meghalaya) and Sylhet in North-Eastern Bangladesh, and some others with lesser known routes from north-eastern Indian regions. Although scheduled bus-services to Shillong/Meghalaya from Kolkata through Dhaka may not be offered at presentâ€”it is still possible to get to those points via land routes going through Sylhet and then on to Tamabil/Dawki border outposts. Enquire at the Bus Service Counters for details. Kolkata just wouldn't look the same without the plethora of yellow ambassador taxis that ply on its roads. They're easily available and relatively cheap, and will usually use their meters. There is also a "white taxi" which has a GPS and has air-conditioning. Expect to pay a bit more if you are going to the outskirts of the city or travelling at night - it will depend on your bargaining skills but should not be more than Rs 20 on top of the taxi meter. Unlike other metro cities in India, there is no 50%-100% surcharge for late night hires. You can find 'Orix' or 'Megacabs' air-conditioned taxis on call. Their fare is about Rs15-20/km. The telephone numbers to call for these taxis are Orix - +91 33 44222222 and Megacabs - +91 33 41414141. The electrified suburban rail network of SER and ER is extensive and includes the Circular Rail. Kolkata’s one line metro is the most stress-free and rush-free form of public transport. It is less expensive to travel around by train as compared to private cabs or taxis.Men are advised not to sit in â€˜Ladies’ compartment. The city has an extensive bus network (possibly the most exhaustive in the whole of India) and this is the cheapest, though not always the most comfortable means of transport. The routes are written all over the colourful buses in Bengali and also in English. The conductors call out their destinations to everyone he's passing and all you have to do is wave at the bus anywhere and it will stop, often causing a small traffic jam in the course. Just jump in. Among the buses that ply the city streets, the deluxe buses run by CSTC (Calcutta State Transport Corporation), CTC (Calcutta Tramways Company),JNNURM (Jawaharlal Nehru National Urban Renewal Mission) and WBSTC (West Bengal Surface Transport Corporation) are probably the better option. A/C buses (VOLVO) are also available to selected destinations. Shared auto-rickshaws are available from different points. They travel in fixed routes and fare is fixed (although you might find the driver charging a little more as the darkness sets in). They are supposed to take four persons, three in the back seat and one sharing the driver's seat! Long the world's only major metropolis where human-pulled rickshaws were still a major form of transport, a complete ban was supposed to be imposed in November 2006 - but with 35,000 union members who are unlikely to disappear overnight it was not implemented. The river offers a less crowded but slow traffic medium. There are several points (popularly called Ghats and jetties) on the bank of the river from where you can board several regular routes of ferry services. Ferries can be fairly large launches to small improvised motorized boats. Even if you don't get any exotic manual boat like you get in Varanasi, the river transport of the city lets you go to several old spots near the bank in a hassle-free manner with an additional dash of the view of decadent river front of the city. Privately owned rental car places are available throughout the city. Rates depend on the make, model, size and comfort level of the car. Agreements are flexible, for example, cars can be rented even for couple of hours at an hourly rate. Most rental cars are accompanied with a driver from the rental agency. Being in West Bengal, the native language of the people of Kolkata is Bengali. However, most educated people speak Hindi and English as well. Many shopkeepers and taxi drivers are able to communicate in broken English, and government offices will typically have English-speaking staff on duty. Although it is generally not a problem getting by with English, it goes without saying that learning some Bengali will make your trip much smoother. The city sprawls along the eastern bank of the Hooghly River, a tributary of the Ganges, which divides it from Howrah on the western bank. For travelers, the most relevant parts of Kolkata are south of the Howrah Bridge in the areas around BBD Bagh and Chowringhee. Take a stroll down memory lane at Princep ghat. Take a boat cruise in small boats under the starlit sky at Outram Ghat. Take an Auto Rickshaw / Tuk Tuk ride from Chandni Chowk to Lohapool, the driver will take you through some back alleys and narrow roads of Kolkata, sit tight and keep faith on the driver. Several modern cinemas are dotted around the city, including INOX at the Forum Shopping Mall and the City Centre in Salt Lake, 89 Cinemas at Swabhumi near Salt Lake City and Fame at Metropolis Mall in Highland Park, RDB Adlabs at RDB Boulevard, Near Infinity Building in Sector 5, Saltlake, all showing Indian and American blockbusters. Nandan the symbol of art and culture in the city and the site of the Kolkata Film Festival every November. Football (soccer) is a passion for many Kolkatans with the national clubs, Mohun Bagan Athletic Club and East Bengal Club being the best known teams. Indian Premier League. Is the main club cricket league in India. It is one of the most widely attended sporting events in the world, and if you are in Kolkata during the season (April–May), consider going to watch the home team (Kolkata Knight Riders) play at Eden Gardens. The Kolkata Book Fair takes place from the last week of January to the first week of February. This is the largest book fair in Asia and is a major event in the city. Durga Puja, a festival honoring the Hindu goddess Durga, takes place in October. The biggest festival for Hindus in Bengal and Eastern India, Kolkata takes on an almost carnival like ambiance. Streets shut down for the construction of pandals, large stands that depict events from the Ramayana and crowds flock to the biggest and best ones. A great time to visit Kolkata (unless you have a fear of crowds!). Traditionally Kolkata had certain shopping areas or districts. The New Market area was considered the core of fashionable marketing. That was the market place for the British and later patronised by the more sophisticated amongst Indians. There were large markets in Burrabazar, Hatibagan-Shyambazar, Gariahat and Bhawanipur. There were several specialised markets - electrical goods at Chandni Chowk, jewelry at Bow Bazar, books at College Street, fish at Maniktala, flowers at Jagannanth Ghat, the Maidan market for sports goods and so on. Over the years, these markets have flourished and attracted customers from far and near. The malls are a more recent addition. The South City Mall, supposed to be the biggest in the city, is in Kolkata/Southern fringes. East Kolkata, the area that has come up in more recent years, has large number of malls. New malls are being added. One has come up at Park Circus, an old neighbourhood in South Kolkata, in 2013. All the district pages list malls and markets in the district. Where there are border-line cases, the mall is listed in one district with a link in the other. Real Estate in Kolkata has seen tremendous growth in recent years with a number of big players getting involved in construction. Numerous real estate agencies have come up to take the process of buying and selling properties into a matured property market. This has been further helped by the entry of major internet based property search sites like Homes Located, taking the brokering of properties to the web. Kolkata has old traditions about eating out. Wilson's Hotel (it later became Great Eastern Hotel) is credited to have been the first western-style hotel/restaurant in Kolkata, serving what was then forbidden food for Indians, particularly Hindus. One could be treated as an out-caste if caught eating there, but the idea caught on and others followed. Many of the restaurants that line the streets in the Esplanade area have been around for more than a hundred years (unfortunately, many also show their age!). The joy of food in Kolkata is in its Indian foods. Nizam's (at 23-24 Hogg Street), close to New Market, is credited with the invention of the famous Kati Kebab roll and still serves up the best of the best. For Mughlai dishes there are several places to eat in the Park Circus area, and there are others all over the city. Bengali food is centered around fish. Macher jhol, literally fish in curry gravy, is a watery fish curry available everywhere and goes well with rice, but Bengalis everywhere swear by the hilsa fish (a variant of shad). Hilsa, lightly marinaded in mustard and steamed is up there with the best fish dishes in the world. There are a number of eateries serving Bengali cuisine in all the districts. Bengali sweets are famous all over India. Roshogolla (cheese balls dipped in a sugary syrup), Panthua - a fried variant of the same, Roshomalai- the same cheeseballs dipped in creamy sweetened milk, Mishti Doi (sweet yogurt), Shondhesh (several variations available). Kolkata is also the home of Indian Chinese food. Chinese restaurants are everywhere so try the Indian variant of hot and sour soup and the famous Indian Chinese dish of chilli chicken. The best place to have Chinese is to visit China Town near Tangra - EM Bypass. It serves the best of the Chinese dishes and you will find plenty of large, small & medium restaurants. There are some restaurants serving Thai, Mediterranean or Italian food. Kolkata also has many excellent vegetarian restaurants ranging from budget to expensive ones. There are two types - those serving North Indian and those serving South Indian food. For those looking for vegetarian street foods, one can find ubiquitous Jhal Muri (somewhat similar to bhel puri of Mumbai) a concoction of puffed rice mixed with various spices, vegetables & other ingredients available at street vendors all over Kolkata. Street vendors selling egg rolls/chicken rolls abound and their freshly prepared kati rolls are safe to eat and enjoy. Mughali Paratha (earlier it was a paratha stuffed with minced meat, but now the minced meat has been replaced by cheaper but tasty alternatives) is a Kolkata speciality. Fuchka, the Kolkata version of paani-puri, but very different than the ones found in Delhi, is available on the streets but be wary of the tamarind water! It never troubles the local people and outsiders can safely taste this delicacy as long as they don't take too much of the water. A few sips will, of course, shoul not cause any harm. Earlier, the restaurants were stand alone entities. A cluster of eateries in a single mall is a comparatively new idea and has become a large crowd puller. Kolkata has long had a concentration of budget backpacker hotels in the Sudder Street area and many of these are colonial era gems, albeit decaying ones. Sudder Street is centrally located and is well connected by public transport. Both the major railway stations at Howrah and Sealdah have many hotels around them. There are some hotels in Gariahat. In more recent years, hotels have come up around hospital facilities as for example at Mukundapur and Panchasayar. The growth of the IT Sector in the East Kolkata has lead to development of hotels in that area. There are numerous big budget deluxe 5 star & 4 star hotels around town. British-era clubs such as Tollygunge Club, Calcutta Club (AJC Bose Rd), Saturday Club (Theatre Rd), and Bengal Club (Russel St) have lavish rooms for rent. However, they only accept bookings through members. For individual hotel listings, please see the various district pages. Public call booths can be found easily throughout the city from where local, national, and international calls can be made. Else local sim card can be used for connectivity.Cell phone coverage is excellent with all major mobile service providers offering their services in the city. The area dialing code for Kolkata is 33. From overseas dial +91 33 XXXX XXXX, from within India dial 033 XXXX XXXX. For mobile phones, dial +91 XXXXX XXXXX. Kolkata has only one area code (033). Internet cafes are also available in plenty and charges between 10-25/hour. You need to show your identity card to use internet in those cafes. Kolkata is reasonably safe, and in general the people are more friendly and helpful than in many of India's other large cities. One noted problem is the drug dealers around Sudder Street. However, as the dealers obviously do not want to draw undue attention to their activity, they are generally not persistent and rarely a threat. Beware of chain, bag and mobile snatchers who follow people mainly in highly populated places like traffic signals, crowded roads and railway station. Women should not ask for lift from strangers especially when they are alone.